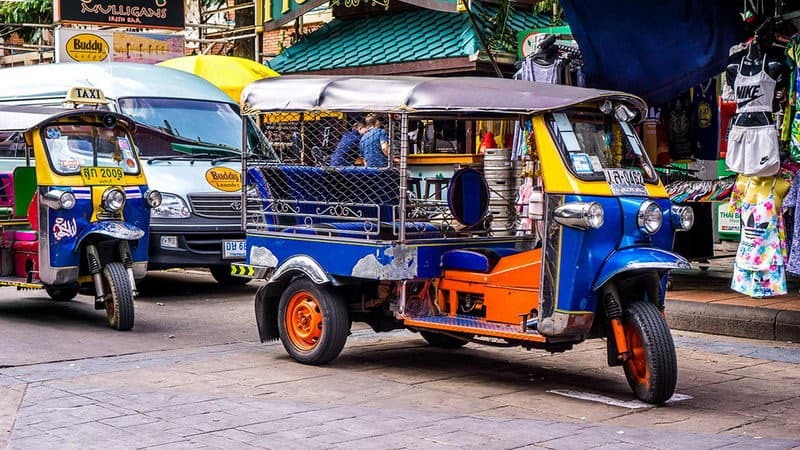 A visit of the beautiful local featured markets in Bangkok is a true highlight of your Thailand tour, throught which you can get a zero-distance contact with local people and their daily life. For backpackers from all over the world, Bangkok on the road may be more famous than The Grand Palace. There are many self-help inns, bars, travel agencies, convenience stores, Internet bars. You can buy some very cheap jewelry and souvenirs in the Khao San Road. 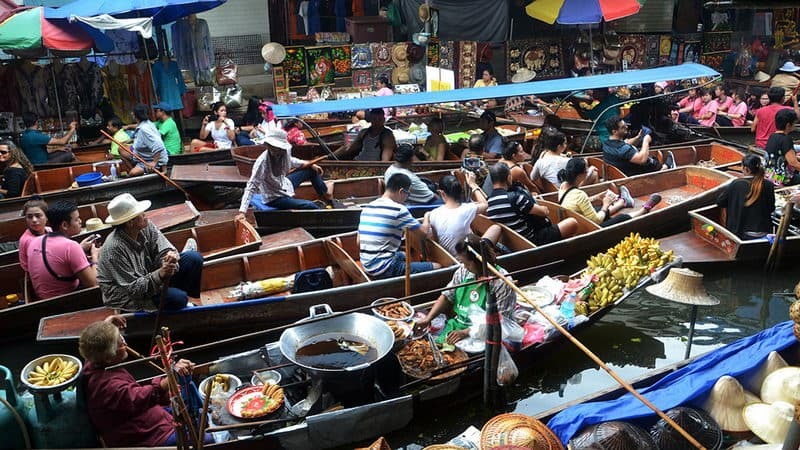 Chatuchak Weekend Market opens only at weekends. 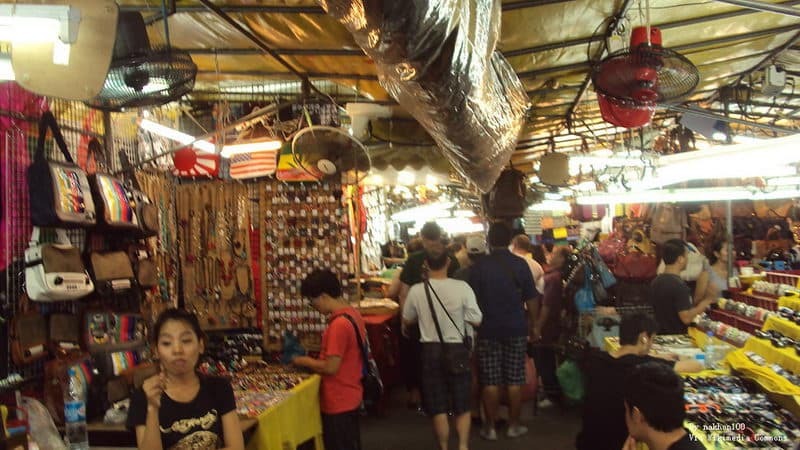 It is the largest flea market in Southeast Asia, and a must for tourists. It's the night market appointed by the official tourism department in Thailand. Although its size is less than that of the open market, the overall plan is in good order. In addition to shopping, the market there are bars and performances. If you want to in Bangkok harvest a good luck, don't miss the local Amulet Market. In Thailand, the custom of wearing or collecting amulets and ornaments is very common, and almost every man has a string of amulets hanging around his neck. 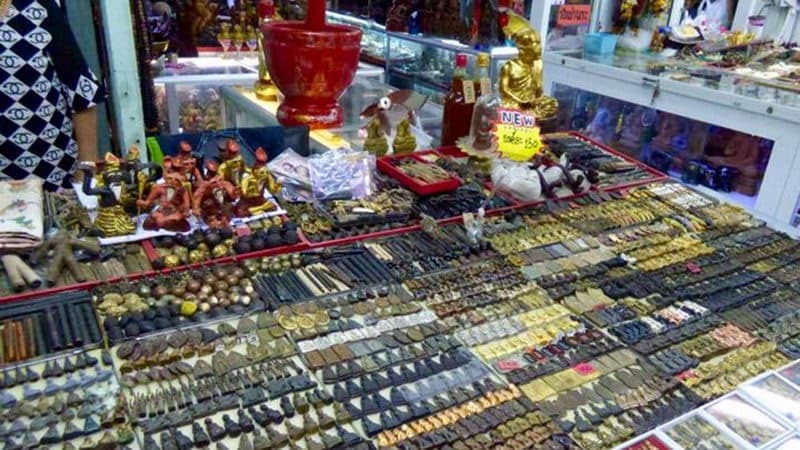 There are also many monks also buy amulets or statues in the market. 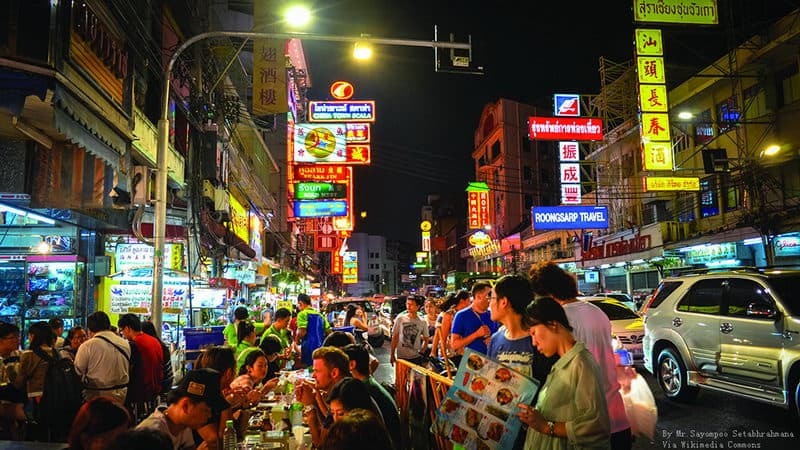 Patpong Market is located in one of the most famous red light districts in Thailand. Colorful nightlife can attract a large number of foreign tourists every night for sightseeing and leisure. The whole street is covered with a variety of authentic Thai snacks, and you must go to taste the local boatman face. It is said that the victory monument night market has the best delicious local traditional boatman around Bangkok. Chinatown has a total length of about two kilometers. There are traditional Chinese food and famous wine, traditional Chinese medicine, jewelry and so on. The whole street retains the typical characteristics of Chinese traditional culture and Chinese community customs. 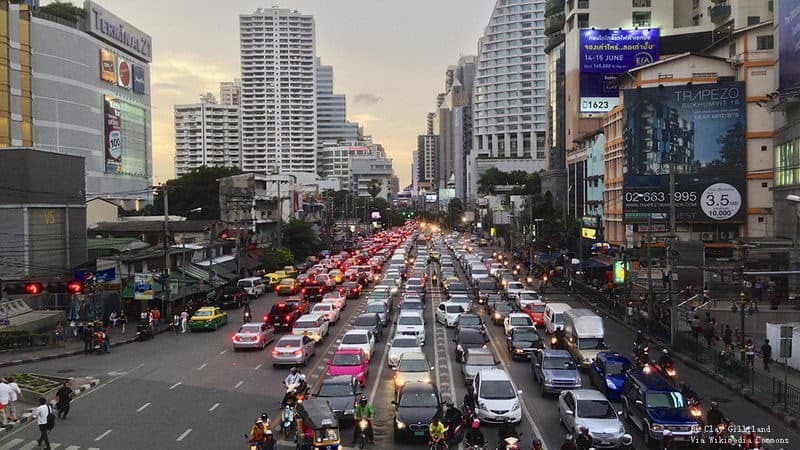 Sukhumvit street in Bangkok is also very popular with foreign tourists and foreign residents. 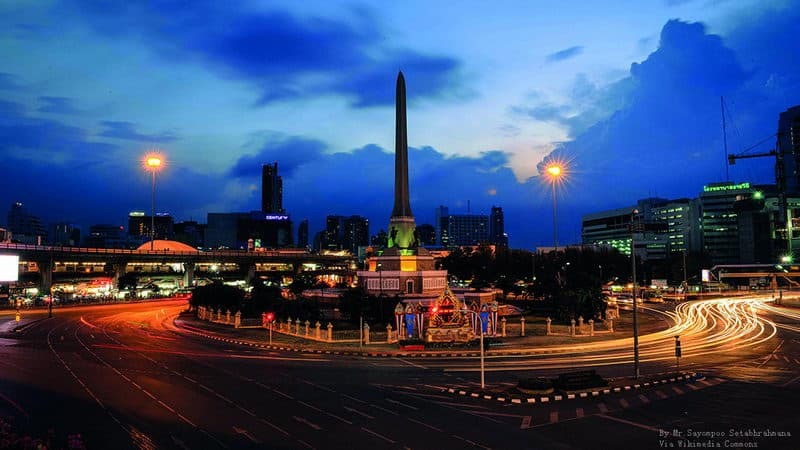 It's also a high level residential district in Bangkok with a lot of high grade hotels, shopping malls, restaurants and bars. Damnoen Saduak which is famous for 007 movies has always been a must for tourists. The market usually lasts from morning till around 2 p.m. And it's the peak time from 7 to 8. 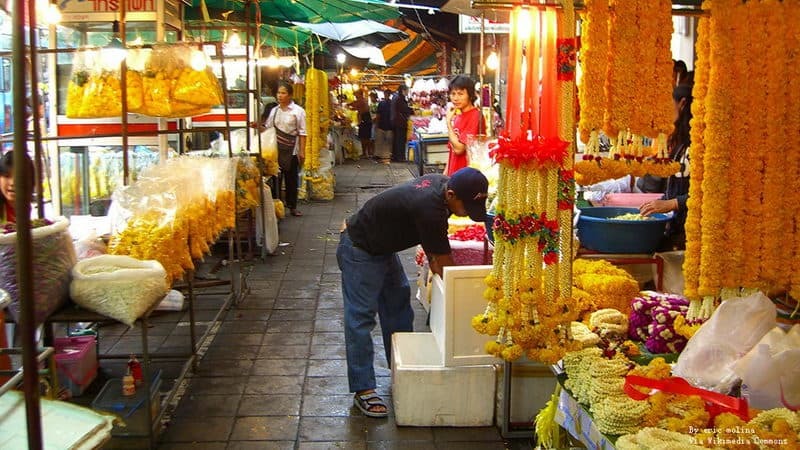 The flower market which is located in Thanon Chakphet is Bangkok flower distribution center. Most of the available in the market is made into clusters of small yellow flowers, jasmine, orchid and Buddha with lotus. There are also decorative roses, lilies and carnations for sale. 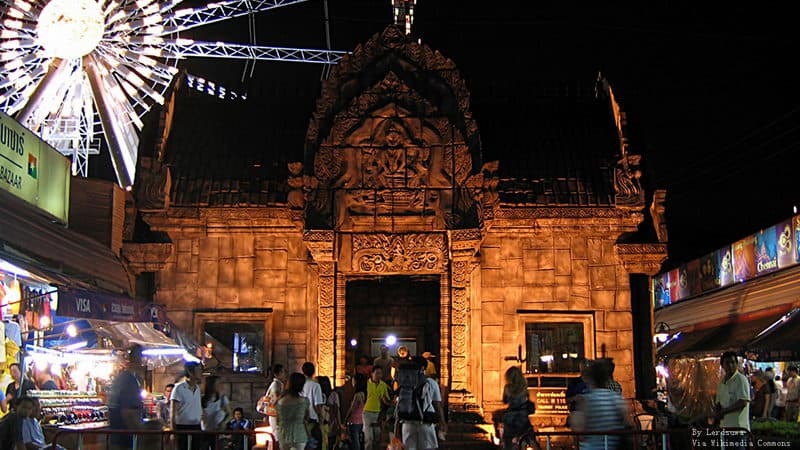 Suan-Lum Night Bazaar is located in the southeast of Bangkok City Center. There is not only the shopping mall, but bars and performances.